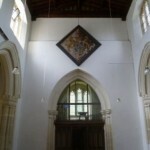 Protection of all internal fixtures and fittings, including removal of the hatchment. Installing access for high level work. Preparing the substrate and applying two coats of Classidur paint. Replacing the window opening cords. 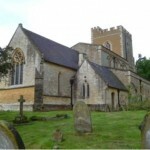 The Church of St Mary the Virgin in Mentmore dates from the 1300s but was heavily restored by the Rothschild family in the 19th century. 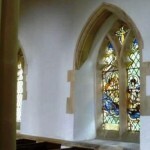 Norman & Underwood was awarded the contract to completely repaint the interior of the church. Preparation and paint works had to be planned to fit around the day-to-day running of the church to allow the congregation to carry on worshipping. 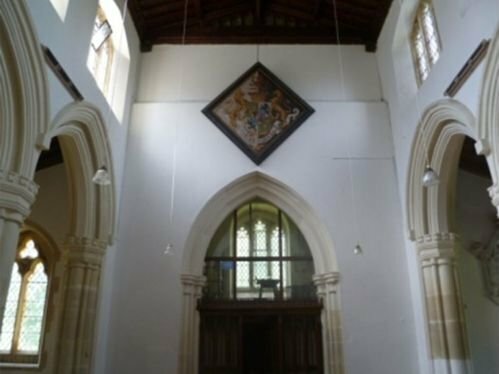 The conservation team used a traditional paint, specifically designed for cold or humid historic buildings, which helps to minimise preparation and prevent the development of mould and other problems in the future. Conscious of the high costs of this paint, our painters took special care to prevent any wastage or excess usage to keep the restoration costs down.